Eleven people were confirmed dead on Thursday three days after a building under construction in southern India caved in, officials said. 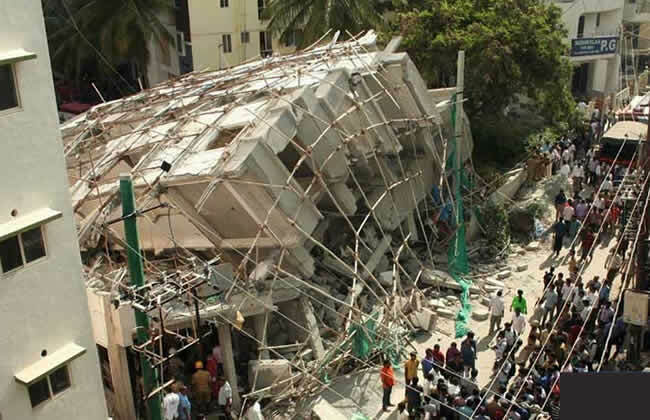 Building collapses are frequent in India. Many firms use cheap materials and bribe officials to evade regulations, while on-site safety is lax. Around 400 rescuers have been scouring through tonnes concrete and steel after the latest tragedy in Karnataka state on Tuesday. Building collapse and plane crash is now the news of the month. May God put an end to it immediately.